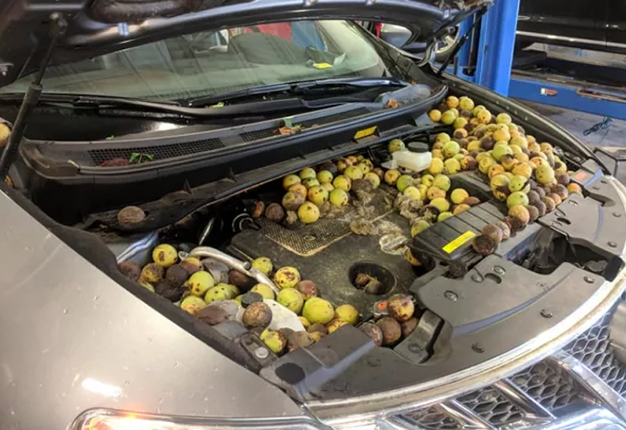 A Canadian repair shop got a surprise when they opened the bonnet to assess what was an apparent indicator and non starting problem only to find lots of walnuts filling the engine bay. According to Automotive test drivers, a rodent of some sort made use of the space to stash the walnuts in every available space - even managing to fit some on the inside of the fender. It also chewed through the bonnet insulation cloth and could possibly also have damaged some of the car's wiring - which is most likely why the car wouldn't start. I'm a 42 year old woman looking to meet men between the ages of 44 and 49.